If you own a camera, there’s a good chance you’ll be interested in this guide on the best lenses for portrait photography. I’ll be discussing which lenses I recommend to both beginner and professional photographers who want to take better portraits. Whether you’re a Nikon, Canon, Sony or Fujifilm shooter, you’ll find portrait lens recommendations here that will help you with your photography. I wanted to make this post the ultimate guide to portrait lenses, so included recommendations for the 4 main camera brands. 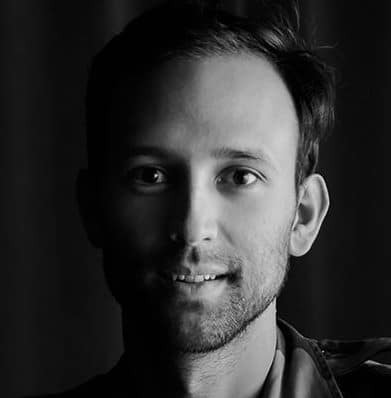 Where relevant, I also included some third party portrait lens options. 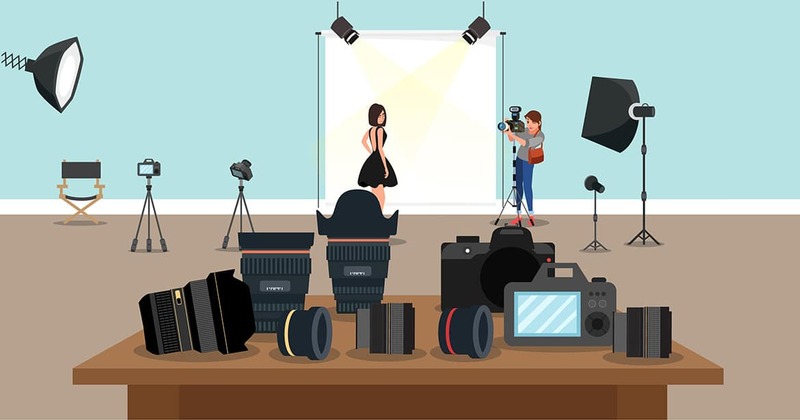 With so many great portrait lenses on the market in 2019, the choice can be a little overwhelming. My advice when trying to decide upon the best portrait lens for you, is to first try and understand which is your preferred focal length. The longer the focal length, the greater the degree of compression and subject separation you’re able to achieve. However, you simply may not have enough space to shoot with a 200mm lens, for example. It’s also important to take into account the feeling of ‘detachment’ that comes with using a long lens. Shooting over 85mm tends to make the viewer feel like they’re detached from the moment, rather than involved in it. This may or may not be important to you and your style of photography. I’ve only included lenses longer than 50mm in this review. While lenses wider than 50mm can still be used for great portrait photography, it’s traditionally not their usage, so I’ve neglected them here for the sake of simplicity. Other factors to take into consideration when deciding on your perfect portrait lens include price (obviously), maximum aperture (for low light), size and weight (for all-day shooting), and AF capabilities. If you’re shooting static subjects in controlled environments, maximum aperture and AF may not be important to you. If you use a tripod to shoot portraits, size and weight may be irrelevant too. So have a good think about what factors are most important to you when reading this guide to the best lenses for portrait photography. 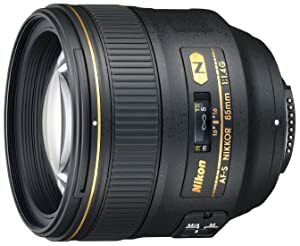 This Nikon portrait lens review isn’t concerned with scientific lens scores and statistics, but rather, with actual usage and balanced opinion as to which portrait lenses are best for all round usage. A good example is the Nikon 58mm f/1.4 (reviewed here) – a lens with sub-par performance on paper, but one that provides a unique quality in real-world usage, is light weight and offers a versatile focal length. To simplify the task of finding the best Nikon lenses for portraits, manual focus lenses weren’t included, as they simply aren’t practical for the majority of photographers here in 2019. So without further ado, let’s take a look at which Nikon lenses are best for portrait photography for the majority of shooters. It’s hard to beat an 85mm lens when it comes to portrait photography, and the Nikon 85mm f/1.4G is one of the best portrait lenses ever made. Although longer lenses can produce an even more flattering effect on a subject, they tend to introduce an element of disconnect between the subject and the viewer. With an 85mm, you get adequate reach, a flattering compressed-look to your subject, whilst still retaining some of the personal feel of a wider lens. An 85mm lens also tends to allow you enough room to ‘back up’ in most indoor situations (depending on room size of course), so it can still be useful for event and wedding photography when space is an issue. Photos taken with the Nikon 85mm f/1.4G are a sight to behold. Tack sharp in-focus elements quickly but smoothly drop off to creamy bokeh, instantly turning any background or foreground elements to mush. Being able to obliterate out of focus elements in your scene can be incredibly useful, allowing you to concentrate more on the light, the subject, or anything other than an ugly backdrop. The Nikon 85mm f/1.4 is sharp at f/1.4, and gets even sharper towards f/4, retaining impressive colour accuracy, contrast and lack of any chromatic aberration. It’s a heavy lens, but this is to be expected with premium build quality, and enough glass to let in lots of light. It’s also far lighter than the Canon 85mm f/1.2, a real beast of a lens. If you’re a professional or amateur photographer who uses Nikon and wants the absolute best in a bokeh producing portrait lens, look no further than the 85mm f/1.4G. 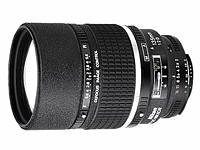 In a previous Nikon lens review, I recommended this lens’ cheaper cousin, the Nikon 50mm f/1.8D. While I still stand by my recommendation, if you’re willing to spend a little more, the newer Nikon 50mm f/1.8G is actually a better choice… and actually still a bargain of a lens (check most recent price here). 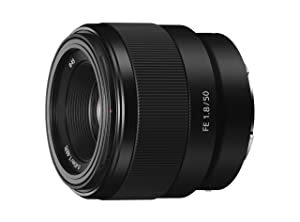 The 50mm focal length (75mm equivalent on DX format cameras) with a fast f/1.8 aperture allows you to capture stunning images with a shallow depth-of-field, letting your subjects stand out from their backgrounds. f/1.8 also means you’ll be able to capture images in lower light than equivalent ‘slower’ lenses, as is typical with the zoom lens you usually receive when buying a new camera. Something called a Super Integrated Coating (SIC) enhances light transmission and offers superior colour consistency and reduced flare, while an Aspherical Lens Element (AS) helps to do away with coma and other types of aberrations, even when shooting at f/1.8. All this technology means the Nikon 50mm f/1.8G is able to produce tack-sharp images across the entire frame, with great image contrast even in challenging light. The 50mm field of view is great for portrait photography, giving enough subject separation to allow your subject to ‘pop’, whilst not introducing the ‘peeking’ feeling of a longer lens. 50mm is equivalent to 75mm on a DX camera, meaning that the Nikon 50mm f/1.8G is still a great portrait lens for those with the crop sensor format. If you’re after a 50mm equivalent on a Nikon DX body, I highly recommend the Nikon 35mm f/1.8G ED (reviewed here). With over 1,800 positive reviews, it’s easy to see why this affordable, lightweight lens is a favourite for so many Nikon shooters. Its size and weight allows you to carry it in a jacket pocket all day without noticing, ready to pull out for a quick portrait shot. Yes, yes, I know…. two 85mm lenses in this top 3 best Nikon portrait lenses review… what gives?! Well, you already know my thoughts on why an 85mm lens makes such a great focal length for a portrait lens, so I won’t go into that any further here. 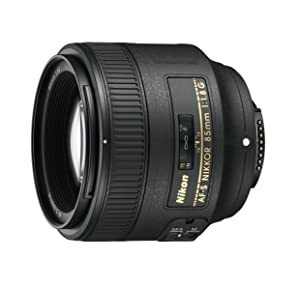 Nikon offers a selection of affordable f/1.8G lenses: the 24mm f/1.8, the 35mm f/1.8 and the 85mm f/1.8. Each lens is smaller, lighter and cheaper than its f/1.4 cousins, but still offers incredible image quality and a decent build. In some instances, the f/1.8 version is actually sharper than the f/1.4 variant, and this is the case with the outstanding Nikon 85mm f/1.8G. 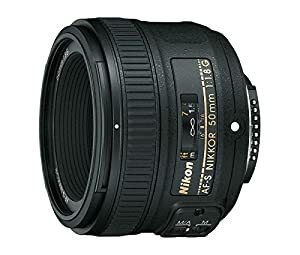 In order to save on cost, Nikon included the most basic mechanics inside the f/1.8 version, with a plastic focus ring and an altogether much cheaper feel when compared to the f/1.4. This might deter many professionals, but I still maintain that the Nikon 85mm f/1.8G is an excellent choice, whether amateur or pro. For a huge saving in price, you’re getting a lens with ultra-sharp edge to edge performance, with the ability to reduce out of focus elements into a sea of mush, thanks to f/1.8, 7 diaphragm blades and the useful 85mm focal length (equivalent to 127.5mm on a DX camera – still an excellent focal length for portrait photography). I love how the lightweight Nikon’s f/1.8 selection of lenses pair so well with their camera bodies. Shooting all day with the Nikon 85mm f/1.8G on the front of my Nikon D750 is a far more pleasurable experience than the heavy f/1.4 version. The Nikon 85mm f/1.8G isn’t better than the f/1.4G on paper, nor when comparing images side by side. However, the differences are minimal, and irrelevant for the majority of portrait photographers. 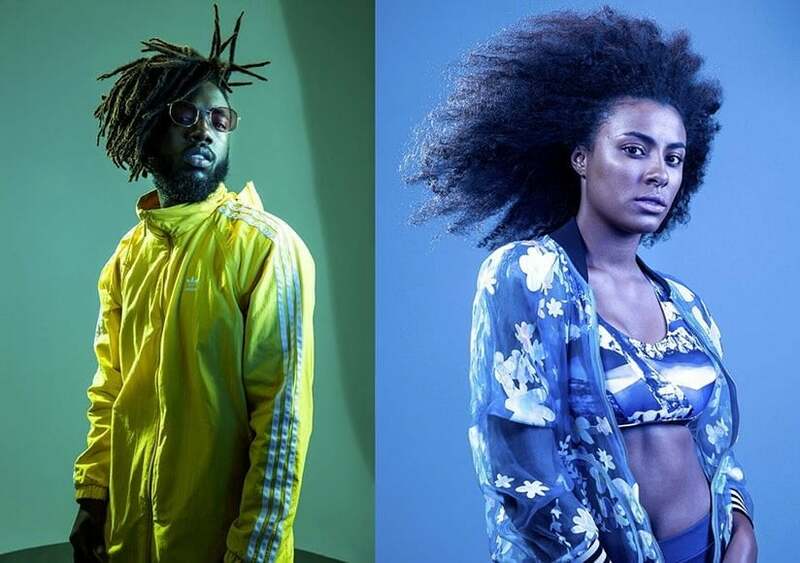 It would be nearly impossible to tell the difference between two portraits shot at f/1.8 using both lenses. If you absolutely need the advantages of f/1.4, by all means, spend 3x the price. However, for the rest of us who just need a stellar portrait lens, the Nikon 85mm f/1.8G is an absolute bargain, and deserves its place in this roundup. If you’re looking at the Nikon 70-200mm f/2.8E FL ED VR as a potential portrait lens for your Nikon camera, it’s a safe bet to say that you’re a professional photographer. Well, either that or you’re a wealthy hobbyist! Any f/2.8 zoom is going to be a pricey purchase by the very nature of the materials and technology that go into producing it, but it can also be one of the best investments you can make as a portrait photographer. If you don’t mind the weight of the lens, the 70-200mm zoom range is practical and versatile. You can shoot a flattering portrait all through the focal range, and the fixed f/2.8 aperture allows you to shoot in low light and/or turn out of focus elements into mush. Shooting a portrait at 200mm gives a compressed, flattering look to a subject’s physique. The compression can also be useful to make distant objects appear closer to the subject. Placed on a DX camera, this lens becomes a 105-300mm equivalent, meaning you’ll need a bit more room to be able to take advantage of the longer end of the range. The Nikon 70-200mm f/2.8E FL ED VR is a big improvement over the old version from 2009 since it weighs less and focuses much closer even when zoomed in to 200mm. 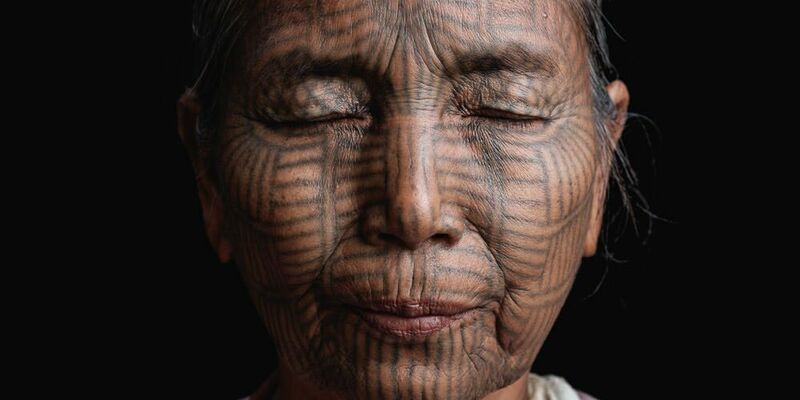 This allows you to create compelling close up portrait images, which really focus in on the subject’s facial features. Sharpness is off the scale, as is clarity and contrast – easily on par with a prime lens, at least when comparing images side by side. On paper a prime lens may receive better scores, but in real world situations shot at f/2.8, you’d be hard pressed to see any difference in sharpness and bokeh. Zooming the lens is light and fluid, and never slips when adjusted into position. Everything just screams high quality on this lens, as is reflected in the build and consequently the price. However expensive the Nikon 70-200mm f/2.8E FL ED VR may seem, when you consider it could be the only portrait zoom lens you ever need, it could actually save (and make) you money in the long run. After borrowing a Nikon 105mm f/1.4 from Nikon Australia for a month and shooting solidly with it, I have a love/hate relationship with this lens. I love the unique look it can give to an image. As with the Nikon 58mm f/1.4, an expensive and unusual lens that polarizes opinion on its abilities (reviewed here), the look from both lenses is simply unattainable using other lenses – it’s almost like a 3D effect when you nail it. 105mm is currently the longest f/1.4 aperture Nikon lens available, and being able to shoot at this flattering focal length at such a large aperture is a joy. 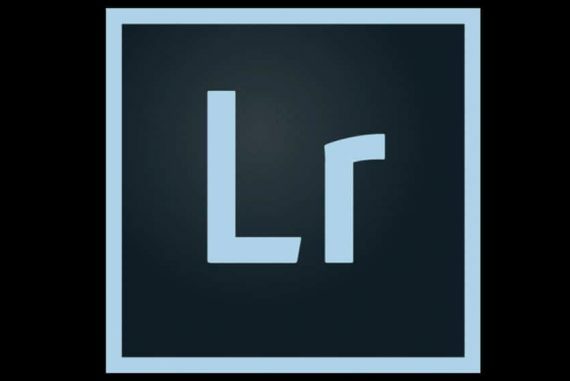 I hate to say that anyone can take a great looking photo with this lens… but it happens to be true! Just point it in the direction of your subject at f/1.4, click the shutter, and hey presto – a photo that’s instantly 10x better than anything a compact camera can produce. Obviously a lot more will go into taking a truly great photograph than simply the equipment you use, but this lens seems to make everything so much easier. As a pro-grade Nikon portrait lens, when you shoot wide open at f/1.4 or stopped down, the clarity, sharpness and contrast of the Nikon 105mm f/1.4 is stellar. 105mm at f/1.4 doesn’t leave much room for error, so you’ll have to be careful you haven’t focused on your subject’s eye lashes at close range for example, because the eye will be thrown completely out of focus. So what do I dislike about this lens? Well, if we ignore the price (see here) since this is subjective (if you can make money using it as a portrait photographer, it may seem like a bargain! ), the Nikon 105mm f/1.4 is an absolute beast of a lens. You can check out its stats above, but suffice to say, you won’t want to be walking around with this lens attached to your camera all day. 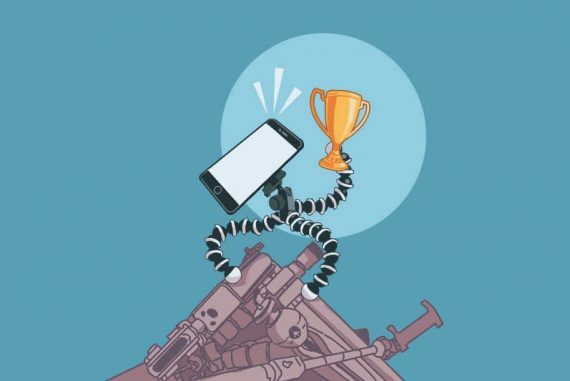 However, if you intend to use it to shoot portraits in a studio environment with a DSLR tripod, you probably won’t care. It’s also much lighter than an f/2.8 zoom too. Overall conclusion – it’s pricey, heavy and bulky… but it’s also the world’s fastest 105mm lens, giving you ability to shoot clear images in low light, and create some of the most incredible-looking portrait images with very little effort indeed. It’s the wealthy photographer’s secret weapon! The previous lens is a good example of a recently released Nikon portrait lens, but now we move onto something a little older – 23 years older, in fact. The Nikon 135mm f/2 DC is a rather unusual lens, but one that’s stood the test of time as one of Nikon’s best portrait lenses ever. 135mm is a focal length that can’t usually be used indoors in a studio, but is more suited to larger spaces or outdoors. Whereas 200mm is usually too long to be used by a wedding photographer in the majority of situations, 135mm can be useful to grab a candid reaction inside a church, for example. Used on a DX camera, this lens gives an angle of view similar to what a 200mm lens would give on an FX camera. The ageing Nikon 135mm f/2 DC has been known as the ‘king of bokeh’ ever since its release in 1995, and for good reason. 9 diaphragm blades and the unique Defocus Control (DC) help to produce an unreplicable look to images shot wide open with this unique Nikon portrait lens. The effects of the DC are quite subtle, and can’t actually be seen before you actually take the photo. You adjust the DC via a separate ring on the lens, with the best practice being to set it to whatever aperture at which you’re shooting. There’s also an ‘R’ to make backgrounds softer, and an ‘F’ to optimise the effect for foregrounds. Leaving the defocus ring at zero and the lens behaves as normal, with your aperture and distance from subject governing the amount of bokeh. The Nikon 135mm f/2 DC is one of the sharpest portrait lenses I’ve ever used. Paired with a higher megapixel Nikon DSLR like the Nikon D810 (reviewed here), you’ll be able to seen every tiny detail on your portrait subject’s face. Any lens that hasn’t been updated for such a long period of time is good indication as to its consistent performance and relevance, even today. It may look and feel a little different to the modern Nikon lenses of our time, but the Nikon 135mm f/2 DC is a true classic which continues to deliver amazing results to portrait photographers around the world. This roundup of the best Canon lenses for portraits isn’t concerned with scientific lens scores and statistics, but rather, with actual usage and balanced opinion as to which portrait lenses are best for all round usage. Writing a ‘best of’ will always include a lot of subjectivity, and I’m sure some of you won’t agree on my choices below. 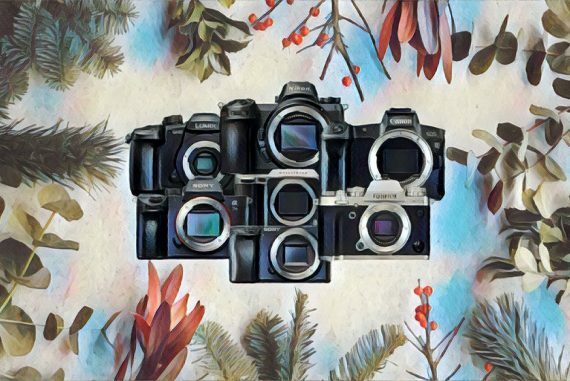 However, I believe the selection is well-rounded, and offers a balanced view on what is ‘best’ for the majority of Canon camera owners. To simplify the task of finding the best Canon lenses for portraits, manual focus lenses weren’t included, as they simply aren’t practical for the majority of photographers in 2019. So let’s take a look at which Canon lenses are best for portrait photography for most photographers. I was in two minds about recommending this lens as the best Canon portrait lens of all time. Calling it the best all -ounder was a bit of a stretch too, because to be honest, using the Canon 85mm f/1.2 can be infuriating at times. I didn’t include it in my roundup of 9 great Canon lenses, but since then and shooting with it a little more, I’ve decided that it should really be mentioned here as a great Canon portrait lens. 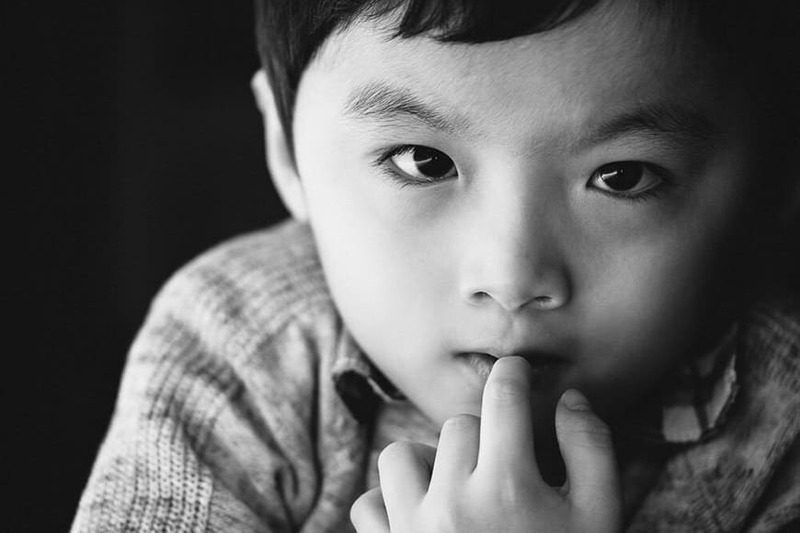 85mm is a great focal length for portrait photography, providing a flattering perspective while allowing some space between you and the subject. Being up close and personal when shooting portraits is great if you want to really immerse the viewer in an image, but it can be a little claustrophobic for the subject. Canon is the king of the f/1.2 lens, with Nikon unable to follow suit with such fast apertures due in part to the size of the Nikon lens mount. An f/1.2 lens, especially one with a long focal length, requires a large diameter of glass, and Nikon mounts simply can’t support this. Canon has always kept one step ahead of Nikon in the prime lens game through its f/1.2 offerings, and nowhere is this more apparent than with the Canon 85mm f/1.2. If you thought shooting an 85mm lens at f/1.8 or f/1.4 gives incredible results, you should see an image shot at f/1.2. You literally can’t discern any elements that fall just a few inches in front of, or behind the subject – it’s just the creamiest bokeh you’ve ever seen. Opening up to f/1.2 leaves you with an extremely shallow depth of field, and this is exaggerated with an 85mm lens. Trying to shoot a moving subject wide open with the Canon 85mm f/1.2 will leave you with very few keepers, but the ones that you nail will be worth the effort. For static subjects even in low light, the keeper rate will obviously be higher, but this is one sloooow lens to focus – the colossal piece of glass moves painfully slowly, and without sufficient contrast in the scene, you may find your AF hunting to find the subject. Despite all its downfalls, the Canon 85mm f/1.2 is still one of the best Canon portrait lenses money can buy… if not the best. You simply can’t replicate the look of a photo shot with this lens, and for portrait photographers shooting in controlled environments, the lackluster AF shouldn’t be an issue. This lens and the Canon 50mm f/1.2L are two good reasons many Nikon shooters jump ship to Canon. If you’re a portrait photographer who needs the largest aperture for whatever reason, this is the lens to get. Before we jump right back in to the wonderful world of f/1.2, I wanted to highlight this little gem of a Canon portrait lens – the Canon 50mm f/1.8 STM. Small, lightweight and affordable (latest price here), this nifty fifty should be part of every Canon photographer’s lens arsenal, whether you shoot portraits or not. 50mm has always been a ‘safe’ focal length – not too wide to distort features, but not too long to introduce subject:viewer disconnect. As long as you’re shooting with a full frame camera, a 50mm lens might be all you ever need (on a crop sensor body, the equivalent 80mm-ish focal length is less versatile). 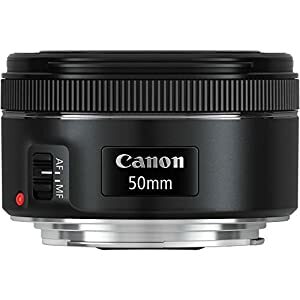 Due to its size, weight and price, you can often find a Canon 50mm f/1.8 STM sitting in a camera bag as a backup lens. I know photographers who always carry one in a jacket pocket, as a just-in-case lens – it really is that compact. However, just keeping it as a backup lens is a bit of a waste, since the Canon 50mm f/1.8 STM is actually a great little performer – sharp, contrasty and fast to focus, it’s a fun little lens to use for portraits that will make your Canon DSLR body feel like a toy. The ‘STM’ in the name refers a Silent Stepper Motor, which only really matters if you shoot video and want to use the in-camera mic. 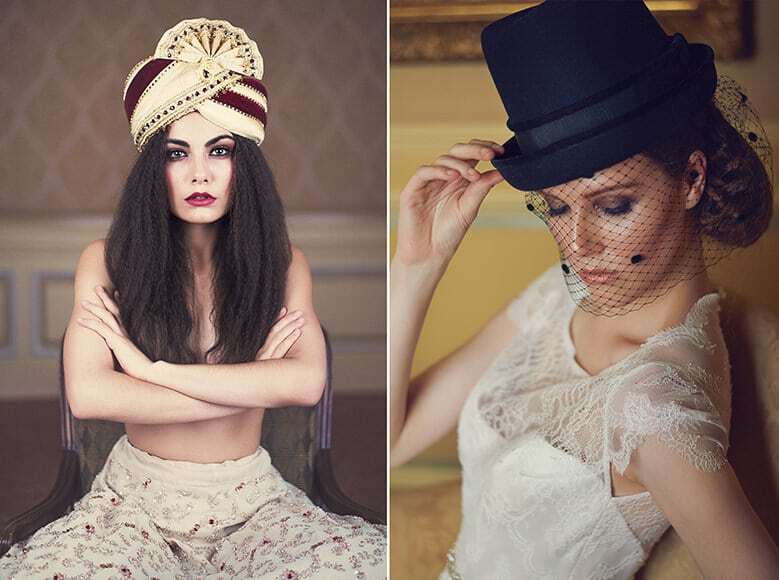 If you’re a portrait photographer, the ‘STM’ will make little difference. Packing superb optics into a small, inexpensive package is no mean feat, and it’s easy to see why this dinky little performer has been Canon’s number one best selling lens for some time now. Auto-focus is fast, accurate and silent, and manual focus override is easy – just twist the ring while your finger is pressing the shutter halfway. Image quality is excellent, and the bokeh is smooth, with nice fall off from in-focus to out of focus elements. It’s hard to go wrong with a lens under $80, and that’s why this nifty-fifty is still Canon’s best affordable portrait lens of 2019. Whether you’re a crop sensor (EF-S) or full frame (EF) Canon shooter, the impressive, affordable and modern Canon 85mm f/1.8 may be the only portrait lens you ever need. With Canons, you multiply the focal lens of a full frame (35mm) lens by 1.6 to get the crop sensor (APS-C) equivalent figure. In this case, the lens will convert to a 136mm equivalent on an entry-level Canon DSLR, which is still an excellent angle of view for portrait photography. 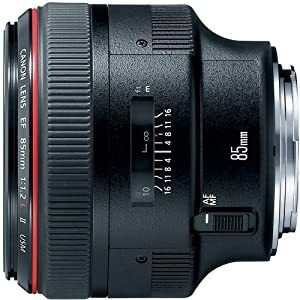 I was umming and erring about including this Canon 85mm f/1.8 as the best all round Canon portrait lens of 2019 instead of the f/1.2 variant. Its actually superior in so many ways – cost, size, weight, focus ability, sharpness… and it’s no doubt a better all-round choice than the clunky Canon 85mm f/1.2. I won’t go any further into that argument though as I’ve made my decision now – you’ll know if this is the lens for you if you’ve shot with the f/1.2 and realised its shortcomings are greater to you than its benefits. The Canon 85mm f/1.8 is similar in image quality to the Nikon version – ultra-sharp across the frame, and with beautiful bokeh and fast, accurate auto-focus. One big benefit it has over the Nikon is that you can over-ride the AF just by twisting the focus ring, for much easier manual focus adjustments than the Nikon’s AF/MF switch. With older Canon DSLRs with inferior high ISO performance, it was often necessary for professionals who shot in low light to use fast f/1.4 or f/1.2 lenses. Nowadays with cameras such as the Canon 5D Mark IV (reviewed here) however, ISO performance has greatly improved, and the viability of high ISO plus an f/1.8 lens is much greater. 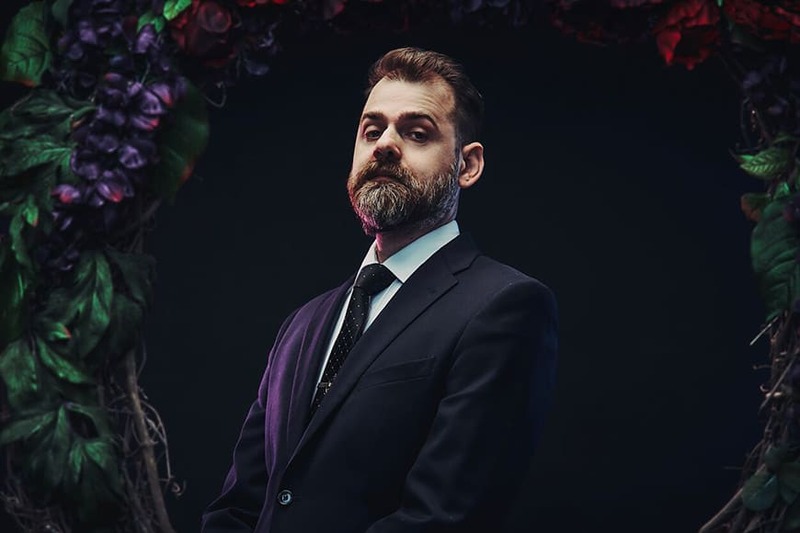 I know many wedding photographers who couldn’t be happier shooting with the Canon 85mm f/1.8, even in low light (where the AF performance is actually much better than the f/1.2 85mm version). 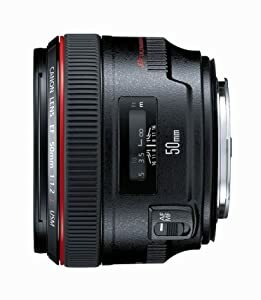 If you’re a portrait photographer shooting in artificially lit studios, in daylight, or anywhere when extremely fast glass and razor fine depth of field isn’t necessary, you should be seriously considering the Canon 85mm f/1.8 over the f/1.2 version – your wallet, your back and your patience will thank you for your decision! Released way back in 1996, the Canon 135mm f/2 is one of those classic Canon portrait lenses that simply doesn’t require an update. Ask any one of these photographers on Shotkit who own this lens and they’ll tell you that it’s simply one of the best Canon lenses of all time, especially for portrait photography. To give it its full name, the Canon EF 135mm f/2L USM is optically very impressive. Colours and contrast are excellent as with all L series lenses, and bokeh when shot wide open makes backgrounds melt away in a creamy swirl of colours. If you zoom right in to examine photos shot with this lens, you’ll note that the 8 diaphragm blades produce beautiful circular bokeh, especially at f/2. It’s hard to deny that a photo shot with the Canon 135mm f/2 just looks like no other, and has in fact been a big reason for many Nikon shooters to switch to Canon in recent years. Auto focus is lightning fast and accurate, and ergonomically this lens feels great attached to even the biggest Canon dSLRs. It’s not a compact or lightweight lens by any means, but its ergonomics and build quality just feel right. 135mm is another classic focal length for portrait photography, providing a flattering effect to the body and face of your subject. At 216mm on a Canon APS-C sensor camera, the effect is still there, but you’ll obviously need a lot more room to shoot – for this reason, I’d only really recommend the Canon 135mm f/2 for use with full frame Canon DSLRs. Many photographers who previously owned the excellent Canon 70-200mm f/2.8L switch to the Canon 135mm f/2 and never go back. Being able to zoom is useful, but the smaller size, weight and larger aperture of the 135 makes the 70-200 redundant. It’s simply one of the best Canon lenses for portraits, and is actually great value for money for the kind of image it can produce. Every time I pick up a zoom lens such as the Canon 70-200mm f/2.8 IS II, I think two things: 1. wow, this is super convenient! I don’t need to move my feet anymore! …and 2. omg this thing weighs a ton! f/2.8 zooms are always going to be big and heavy, due to the amount of glass involved to take you between focal lengths at a constant, fast aperture. Attached to a full frame or crop sensor Canon DSLRs, there’s no getting away from it – this is one beast of a lens! While I’ve included plenty of prime lenses for portrait photographers in this line up, a zoom lens certainly has its advantages. With one twist of the zoom ring, you can go from medium crop to tight crop on your portrait subject, providing versatility and convenience in one. 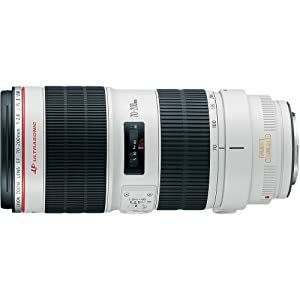 70-200mm has long been the choice lens for all kinds of photographer, be it portrait, sports, event or even wedding. From 70 all the way to 200mm, you can create a flattering portrait photo, as well as exaggerate the compression between subject and back/foreground elements. Shooting at 200mm on the Canon 70-200mm f/2.8 with your subject in front of the Sydney Opera House for example, can make the background seem much closer, and create a more compelling environmental portrait. For more casual use, the Canon 70-200mm f/4 IS is cheaper and lighter, but for AF speed, sharpness and bokeh, the f/2.8 version really can’t be beaten. If you shoot portraits in studios with lighting (and perhaps have no need for f/2.8), then you may still be alright with the f/4 version… but for all round awesomeness, you should start saving up for the Canon 70-200mm f/2.8! This is the one lens you’ll find in any professional Canon zoom shooter’s bag, and is usually a lens that’s a firm favourite in portrait studios around the world too. If you can afford it, don’t think twice – it’s Canon’s best zoom lens ever. I remember a few years ago after acquiring a Nikon D700, looking enviously at images created with the Canon 50mm f/1.2L. There was just some dreaminess about the photos; some three-dimensionality that Nikon f/1.4 lenses simply couldn’t reproduce. 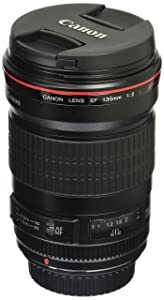 I know of some photographers who shoot Nikon, but have one Canon DSLR just so they can take advantage of this unique lens! So, what’s so special about the Canon 50mm f/1.2L anyway?! It’s certainly not a lens priced for everyone’s wallet, but if you’re a portrait shooter who wants one amazing, all purpose lens to start out, this is a great investment. 50mm is versatile and useful, and even on a crop sensor Canon body, can be used as an 80mm equivalent for flattering portrait photography. Unsurprisingly though, the magic of this lens is in the exotic f/1.2 maximum aperture. Its ability to turn out of focus elements into a sea of creaminess, while maintaining the subject in tack-sharp focus, creates an unmistakable subject ‘pop’. Image quality is excellent, and the auto-focus is leagues better than the 85mm f/1.2 mentioned previously. Its a heavy lens for its size, but not overly so – I can imagine leaving this on the camera all day, with no complaints from my back. f/1.2 doesn’t give much room for error, but thankfully, manual focus override is easy with the Canon 50mm f/1.2L – just half press the shutter and twist the ring. Used in conjunction with focus peaking on the new Canon mirrorless camera, you can be sure to nail focus every time. 50mm is the most versatile focal length for portrait photography, and as wide as you would traditionally go without distorting facial features. Combined with a maximum aperture of f/1.2, this is an absolute gem of a lens, and should be at the top of any Canon portrait photographer’s wishlist. Since the release of the first full frame mirrorless camera, the sticking point for many photographers looking to switch to Sony has been the distinct lack of lenses. 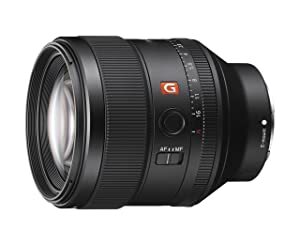 However, over time Sony has built up a stellar range of prime and zoom lenses for its E mount system, and now with third party options such as Sigma offering first class native lenses, Sony is truly dominating the mirrorless market. I’ve written in more depth about the best all round Sony lenses here, but below I’ll be covering the best Sony lenses for portrait photography. It’s possible to use adaptors to attach any of the recommended portrait lenses from other camera brands to a Sony camera, but using native (no-mount) lenses will always be the most convenient option. Unless you have a very specific reason to use a 3rd party (adapted) lens, there really isn’t any need. 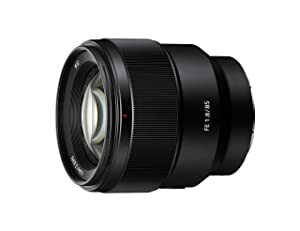 At the time of writing, Sony offers 3 native 85mm prime lenses for its FE (full frame) and E (APS-C) mount mirrorless cameras. It’s a tough choice recommending just one as the best Sony portrait lens, but we’ve ended up on this one – the Sony FE 85mm f/1.4 GM. For portrait photography, 85mm really is hard to beat. It offers enough working distance from your subject to give them some room (or allow you to remain unnoticed, if candid photography is more your style), and creates a flattering, compressed look to your subject’s features, without making the final image feel too ‘detached’. As we discussed previously, a longer lens will typically introduce a ‘spying’ sensation when the final image is viewed, making your viewer feel more detached from the subject than they would be if you used something wider. Whether this is an issue to you or not is up to you to decide, but in general, the more involved you can make the viewer feel when seeing your image, the better. This is especially the case with a portrait photo. The Sony 85mm f/1.4 is Sony’s flagship portrait G-Master lens, and delivers stunning optics in a robust package. It’s incredibly sharp at all apertures, right across the image frame. You’ll be shooting it at f/1.4 most of the time, and it’s razor sharp here, with beautiful, creamy bokeh that easily rivals the Canon/Nikon 85mm versions. Autofocus is fast and silent, and an additional Focus Lock button on the barrel is a nice touch – much more convenient in my opinion than an on-camera button, and can actually be reprogrammed to a custom button depending on your Sony camera model. The only downsides of this lens for me were the size, weight, and the price. Being a wedding photographer that likes to get up close and personal, I don’t use 85mm all that much, so couldn’t justify the price tag (see latest price here). However, if you’re a portrait photographer, 85mm will be your bread and butter, so the Sony 85mm f/1.4 should be an excellent investment. I had a hard time choosing between the aforementioned f/1.4 85mm Sony lens and the one I ended up keeping for myself – the Sony 85mm f/1.8. The actual difference between f/1.4 and f/1.8 in use is often debated. Sure, we all know that the difference in light capturing ability means that f/1.4 will allow you to shoot in slightly lower light than f/1.8, and that the depth of field will also be slightly shallower. However, in practice, does it really make much of a difference? Well, yes and no. If your job is portrait photography, and you want an edge on your competitors, to be able to consistently deliver images that have a ‘certain something’ about them… by all means, invest in the Sony 85mm f/1.4. You’ll also need it if you shoot in adverse weather conditions a lot, since it’s weather sealed. Aside from the ‘on paper’ advantages of the f/1.4 85mm lens, the images do have a certain look to them – some kind of additional 3-dimensionality, caused in part by smoother, rounder bokeh elements and some image rendering magic thanks to the extremely shallow depth of field. However, and this is a big one, it’s arguable as to whether anyone will ever notice… except you. Maybe at the highest levels of portrait photography, or for those looking for that shallow DOF ‘dreamy’ look, yes, but for all the rest of us that can easily make so with a super sharp lens with excellent bokeh, the Sony 85mm f/1.8 is a hard one to pass by. At less than half the weight and less than 3 times the price (!!) of the f/1.4 version, the Sony 85mm f/1.8 is a real bargain of a Sony portrait lens. At only 371 g, it’s the perfect complement to a lightweight Sony mirrorless body. Even on an APS-C sensor body like the immensely popular Sony A6000 (reviewed here), this lens feels great. It’s actually one of the few FE lenses I’d recommend buying for an E mount Sony body too (see other recommended Sony E mount lenses). All in all, I highly recommend the Sony 85mm f/1.8 as an affordable, lightweight, versatile, all round Sony portrait lens, whatever your level of photography. At the time of writing this, Sony offers 4 50mm focal length prime lenses for its full frame mirrorless cameras. I wouldn’t say that the Sony FE 50mm f/1.8 is the best of the lot, but for its price, it’s without a doubt the best budget Sony portrait lens available in 2019. For a little under 500 bucks (latest price here), you’re getting a fantastic little lens that’s as light as a feather, ready to make your full frame or crop sensor Sony mirrorless camera an absolute joy to use. On a crop sensor (E mount) camera, 50mm is equivalent to 75mm – another perfectly viable focal length for flattering portraits. As a nifty-fifty on FE mount cameras such as the Sony a7RIII (reviewed here), the combination makes for a great walk-around street photography set up. 50mm is long enough to deliver hardly any visible facial distortion, but still wide enough to include some surroundings for environmental portraiture. Auto focus is slower than other lenses, so if you’re shooting moving subjects, there are better options available out there. For static portrait subjects however, the Sony FE 50mm f/1.8 does just fine. Bokeh is impressive for such a cheap lens, and dare I say, even less distracting than the Canon/Nikon equivalents. Out of focus elements are soft and creamy, and shooting at f/1.8 is useful for when the scene gets darker and you don’t want to push your ISO too high, or risk a blurred shot with a slower shutter speed. The Sony FE 50mm f/1.8 is a great budget, all-purpose Sony lens, and does a fine job for portraits too. If you’re a pro who wants better AF performance and the ability to shoot in lower light, by all means invest 3x the price in one of the f/1.4 Sony offerings… but I highly recommend you keep one of these mini-marvels as a backup in your jacket pocket too. If you know anything about Sony portrait lenses, chances are you’ve come across this little beauty. It’s actually one of the sharpest Sony lenses ever produced, despite being over 5 years old. 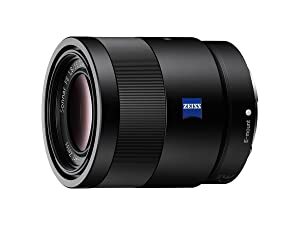 Announced to complement the first Sony A7 and A7R mirrorless cameras, the Sony 55mm f/1.8 was the perfect match for these groundbreaking devices. Its size/weight went well with the smaller bodies, and the impeccable Carl Zeiss optics made the most of the A7R’s 36MP sensor. If you’re looking a sharp portrait lens with lightning fast AF, and at a useful, flattering focal length, it’s hard to beat the Sony 55mm f/1.8. 55mm may sound unusual, but the difference between a 50mm and a 55mm field of view is minor and something you’ll quickly get used to. When mounted on a Sony APS-C body, the field of view is converted to 82.5mm, a nice all round focal length for portrait photographers. Whether shot wide open at f/1.8 or stopped down, you can expect razor-sharp edge to edge performance out of the Sony 55mm f/1.8, making it perfect for portrait photographers who are aiming for the utmost in pixel resolution. The focus falloff from these razor sharp in-focus elements to creamy bokeh is gradual and subtle, and the bokeh itself is beautifully smooth. If you’re shooting moving subjects, the AF performance of this lens is nothing short of breathtaking – when combined with face tracking and continuous AF, the lens holds tight focus on your subject, even when approaching your camera fast. At only 281 g, the Sony 55mm f/1.8 feels great on any Sony FE or E mount camera, and could be the only portrait lens you ever need. If you’re stuck deciding between a 50mm and an 85mm prime lens, this 55mm is the perfect in-between. It wouldn’t be fair of me to not include Sony’s epic 70-200mm f/2.8 zoom lens in this line up of the best Sony portrait lenses. Despite being a fan of prime lenses, I’m the first to admit how much more versatile and useful a zoom lens is. Being able to twist the barrel and go from a tight full body shot to a tight head shot… without moving any other muscle in your body, is amazing! Who needs legs?! 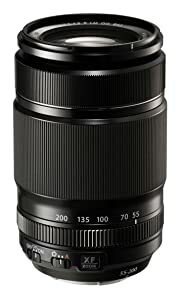 Being a G Master lens, you can expect first class build and performance from the Sony 70-200mm f/2.8. Ultra sharp at every aperture, it excels when shot at f/2.8, where, let’s face it, you’ll be for 99% of the time with this lens. Auto focus is similarly excellent, with the AF locking on to moving subjects very easily indeed. 70-200mm f/2.8 zooms are engineered predominately for sports photographers, or those who require reliable AF for moving subjects. For your average portrait photography session of a subject twirling around, running or jumping, this lens has you well and truly covered. The Optical Steady Shot (OSS) works in conjunction with Sony camera bodies’ own image stabilization, meaning you can shoot at much slower shutter speeds, and consequently, much lower ISO levels too. This means that f/2.8 shouldn’t be a limiting factor even in low light, with the OSS and high ISO capabilities of all Sony full frame mirrorless cameras taking up the slack. 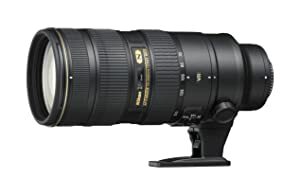 On a crop sensor body, you’ll have to work harder with the 105-300mm focal lens. Also, at a whopping 1.5kg, the Sony 70-200mm f/2.8 will quickly unbalance any crop sensor body you attach it to… and any full frame bodies too come to think of it! Thankfully, the detachable foot allows you to securely attach the lens to any camera tripod, and also doubles as a comfortable way to grip the lens when hand holding your camera. I’m a big fan of Fujifilm, having shot with them for years and written several Fujifilm lens reviews. Fujifilm seems to concentrate the majority of their R&D efforts on the crop sensor format (and more recently on medium format, with the GFX line), and doing so, are the leaders in APS-C imaging, and their stellar lens lineup reflects this. Fujifilm lenses are renowned for their excellent image quality and build, and thanks to the smaller APS-C format, reduced size and weight too. With several great Fujifilm portrait lenses to choose from already and others on the roadmap, it’s an exciting time to be shooting portraits with a Fujifilm camera. The Fujifilm 56mm f/1.2 is arguably the best Fuji portrait lens ever made, and should be at the top of your wish list as a portrait photographer. As Fuji’s fastest portraiture lens, the Fujifilm 56mm f/1.2 exhibits a beautifully creamy bokeh when shot wide open at f/1.2, letting in enough light to warrant its use even in the darkest of locations. Whilst similar f/1.2 lenses from Canon (which are over twice the price of this Fuji) display softness around the edges when shot at f/1.2, the Fuji 56mm f/1.2 manages to achieve incredible sharpness from edge to edge. Equivalent to an 85mm lens on a full frame sensor, this is the perfect focal length for a flattering portrait and comfortable working distance. 85mm is a sweet spot between ‘immersive wide angle’ and ‘distant telephoto’ – it’s able to capture subjects from further away, but without the scene looking too compressed. Auto focus on the Canon f/1.2 lenses is clunky to say the least, but it’s much faster and more accurate with the Fujifilm 56mm f/1.2. With a sturdy but lightweight build, it’s easy to attach this lens to the front of any small Fujifilm mirrorless camera body and walk around with it all day long. 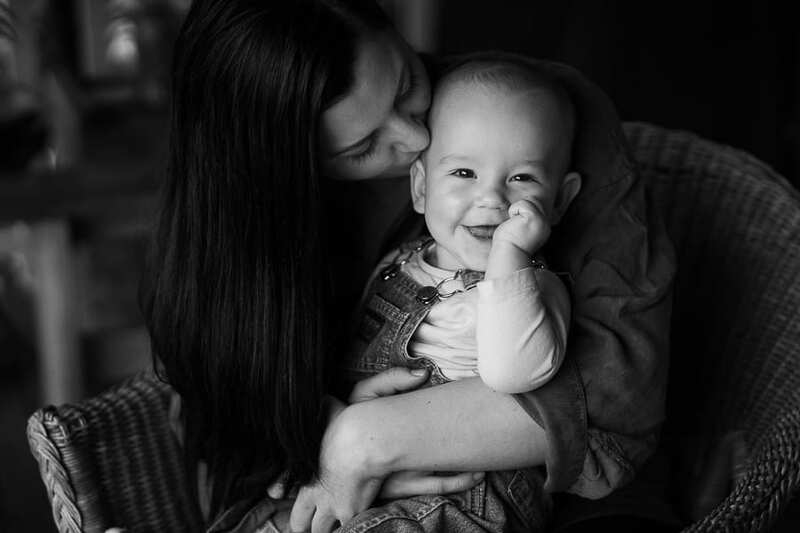 If you’re looking for stellar subject separation and low light performance, its hard to beat the Fujifilm 56mm f/1.2, and the hundreds of positive customer reviews since its launch in 2014 tell a similar story – read them here. This is a lens that should be in the arsenal of every Fujifilm camera owner, portrait photographer or otherwise – it’s just that good. With an equivalent focal length of 137mm on a 35mm senior, the Fuji 90mm f/2 would be my second choice as the best Fujifilm lens for portrait photography… and a very close second at that! If you have the space to back up enough to use a 137mm equivalent lens, the Fujifilm 90mm f/2 would actually be at the number one spot in my list. However, it’s just not quite as versatile as the 56mm lens discussed earlier. Either way, this is one impressive lens that delivers ultra-sharp, flattering results with zero distortion. 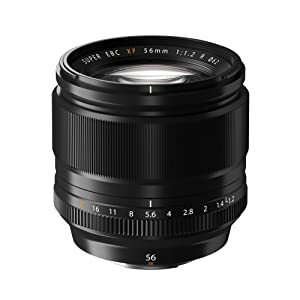 The first-class optical construction of the lens minimizes vignetting, and the 8 rounded aperture blades produce some of the most beautiful bokeh you’ll see out of a Fujifilm camera. Shot at f/2, centre sharpness is excellent, and still very good all the way out to the edges – an essential trait of a great portrait lens. Vignetting is also kept to a minimum, making the Fujifilm 90mm f/2 an excellent choice for portrait photographers wishing to minimise corrective post production. As with all Fuji X mount lenses, the construction is solid. The Fujifilm 90mm f/2 features weather and dust-resistant sealing, allowing usage to temperatures as low as -10 degrees. When compared to the Nikon/Canon 135mm alternatives, this lens is actually lighter and smaller, perfect for the more portable nature of the Fujifilm camera system. All in all, this is one impressive Fuji lens for portrait photography. 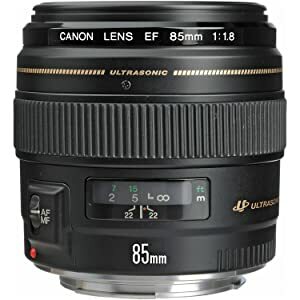 I’m a big fan of prime (fixed focal length) lenses, and this is one I’d recommend to all level of photographer – portrait shooter or otherwise. Equating to roughly a 70-200mm in full frame terms, it’s easy to see why the Fujifilm 50-140m f/2.8 is such a popular lens for portrait photography. 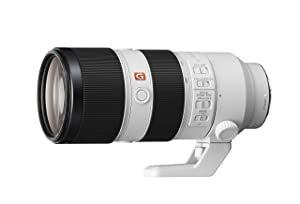 Similar to the other big name f/2.8 telephoto lenses, this a must-have for any photographer wanting the convenience and performance of a fast, medium-long range zoom. Being able to go from a flattering half-body crop at 50mm, all the way up to isolating facial features at 140mm is an effective way to bring diversity to your portrait shoot with minimal effort. Imagine a model standing in a pose – when you’re happy with the light and composition, you can get a whole range of different photos just by turning the lens barrel and narrowing your field of view. Lazy, but very effective! Another useful feature of a zoom lens such as the Fujifilm 50-140m f/2.8 is compression. When shot at the long end, you’ll be able to compress not only the subject’s features for a flattering effect, but also the foreground and background elements to make them appear closer to the subject. Sharpness is impressive across the image when shot at f/2.8, and improves up to around f/5.6, where images are razor sharp and comparable to the sharpest prime lenses. Auto focus is almost instantaneous and incredibly accurate, especially in daylight. When the light starts to drop, you may notice a few more missed shots, but overall there’s little to complain about here. Out of focus bokeh elements are soft and creamy, and when shot at its full range of 140mm, the Fujifilm 50-140mm f/2.8 offers excellent subject separation, making it a great portrait lens if you have the room to back up enough. Another great feature is built in image stabilisation, with handheld shots at shutter speeds as slow as 1/15s shot at 140mm still remaining sharp. This means you won’t need to rely on high ISOs to get a fast enough shutter speed to shoot any low light portrait opportunities. 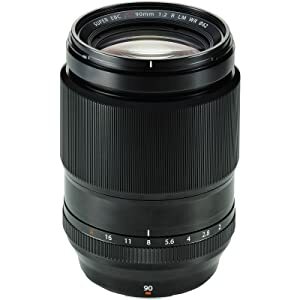 All in all, the Fujifilm 50-140mm f/2.8 is one serious, pro-grade zoom lens that’s as suited for portrait photography as it is for sports, events, weddings and anything else that requires some flexibility, speed and reach. It’s an all-in-one top-performer of a lens, and as such, highly recommended to all Fuji shooters. The last lens I feel like I should recommend in this roundup of the best Fujifilm lenses for portrait photography is the Fujifilm 55-200mm f/3.5-4.8. With an equivalent focal length of 83-300mm, the range is more suited for outdoor use (or a large studio), but that doesn’t mean that it’s not an incredibly versatile lens for portrait use. The minimum focus distance is only 1.1m (3.67 ft), meaning that the zoom range allows you to crop right in on your subject’s eyes, for example. f/3.5 may not sound very fast, but for the equivalent lens on a DSLR, it’s actually half a stop quicker. Combined with Optical Image Stabilisation, this makes the Fujifilm 55-200mm f/3.5-4.8 a viable option for low light photography. Image quality is impressive, with low chromatic aberration, and distortion and vignetting which are corrected via the camera’s internal software. The amount of detail in the files is impressive, with images offering great clarity and contrast. One thing that takes a little getting used to with the Fujifilm 55-200mm f/3.5-4.8, is the inclusion of 3 control rings, for zoom, aperture and (manual) focusing. In practice, you’ll only usually be using the zoom dial, and this feels beautifully smooth and well-engineered. Autofocus is similar to all other Fujifilm lenses I’ve used – quick and accurate, and totally competent for the speed at which your average portrait subject will be moving! Shooting at 300mm is a lot of fun, either to capture subjects at a distance, or for zooming right in on a subject’s features for some interesting crops. If you’ve ever seen portrait photography that highlights a model’s eyes, or lips in dramatic fashion, chances are the photographer used either a macro lens, or a telephoto such as the Fujifilm 55-200mm f/3.5-4.8. One thing to note – this is a rather large lens for mirrorless standards (but still small when compared with a DSLR equivalent), and as such, may make a smaller Fujifilm body such as the Fujifilm X-T20 feel somewhat unwieldy – one way to overcome this is to use a hand strap (see more accessories for Fuji cameras here). 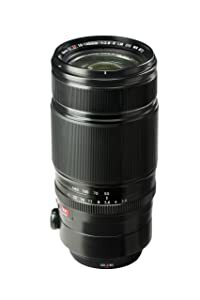 Overall, the Fujifilm 55-200mm f/3.5-4.8 is an impressive lens, and one that can produce a wide variety of images thanks to its wide (and somewhat unusual) focal range. It’s fantastically engineered, and offers excellent image quality in a well-built, ergonomic body. I hope I’ve helped you on your way to choosing your next portrait lens for your camera. Remember that getting great results with your portrait photography isn’t necessarily limited to just these lenses of course. Nor is it limited to any focal length lens that’s longer than 50mm, or whatever else you may have been told. Great portraits can be shot with wide angle lenses, zoom lenses, macro lenses, or whatever lens you currently have… except with perhaps a fish-eye! I’m curious as to why you chose the 135mm Nikon over the equally excellent 105mm f2D. I have both but find the 105 (also with “defocus control”) has less chromatic aberration. I also find the 105 length more flattering. They’re both great, so what factors led you pick the 135? Hi Mark, thanks for the article. IMO, I think you may have ‘best value’ and ‘best budget’ for Sony flipped. The 85mm 1.8 punches way above its price range. It performs as well as the Batis 85mm (a $1000+ lens). To me, that is Sony’s ‘best value’ portrait lens. The 50mm 1.8, while budget friendly, sort of performs like a budget friendly lens. It’s nice, but not an especially striking value compared with the 85mm 1.8. Hey Chris, ah yep interesting to hear that. I’m a fan of both lenses, but have settled on the 85mm f/1.8 for myself for pro use. I imagine the 50mm is more than sufficient for amateur use, and know several pros who love it too. My personal favourite (it seems always to be forgotten) is the Canon EF 100mm f/2 USM. IMHO, even better than the 85/1.8. Absolutely awesome results can be had, if not that easily, with the Canon TS-E 90mm f/2.8, thanks to its “moves”. But that’s a manual lens of course, so it can’t figure here. Thanks for your input Harry – I haven’t had much experience with that lens to be honest, but choosing among the excellent Canon lens line up is always a tough one! Informative article thanks :) The Mitakon 0.95 is also a great portrait lens for the Fuji and wortg mentioning. Albeit a manual focus lens it produces some really nice images. Yeah I’ve heard that’s a lens that produces a very unique look and incredible bokeh. Manual focus is fine for some photographers with slower workflows, but I prefer to take full advantage of AF technology if possible!